Important facts about lung cancer can be both sobering and surprising. Many people are surprised to hear the real story about lung cancer, though the stigma, and lack of the funding due to the stigma, has left lung cancer behind in research until recent years. Let's take a look at some of the statistics, as well as some interesting and uncommon facts you may not know. As the leading cause of cancer deaths in both men and women in the United States, lung cancer kills more people each year than breast cancer, prostate cancer, and colon cancer combined. In 2016, it is estimated that 117,920 men and 106,470 women will be diagnosed with the disease. The lifetime risk of developing lung cancer is 1 in 13 for men and 1 in 16 for women. Though lung cancer is found in young people and even children, the average age at diagnosis is 71 years. The surprising fact here is that lung cancer is both decreasing and increasing. It is decreasing, in general, in men, while leveling off in men. At the same time, however, lung cancer is increasing in young adults, especially young who have never smoked. Smoking is the leading cause of lung cancer, but at the current time, the majority of people who develop lung cancer do not currently smoke. Overall, more than 50 percent of lung cancers occur in former smokers. In addition, 20 percent of women and 1 in 12 men who develop lung cancer have not smoked a single cigarette. In recent years, the incidence of lung cancer in non-smokers has been increasing. It's commonly known that smoking is the leading cause of lung cancer, responsible for 80 to 90 percent of cases. It is less well-known that exposure to radon in our homes is the second leading cause of lung cancer and the leading cause in non-smokers. Radon causes almost 8 times as many lung cancers as secondhand smoke, and those who are at the greatest risk are those who spend the most amount of time in the home: women and children. Occupational exposures are also an important cause, accounting for up to 27 percent of lung cancers in men. Some other lung cancer causes include exposure to secondhand smoke and air pollution. Common symptoms of lung cancer include a cough that doesn't go away or coughing up blood. Yet, in 25 percent of people, no symptoms are present. The early symptoms of lung cancer can often be mistaken for another problem, such as a lung infection, allergies, or muscle pain in the shoulder, back or chest. Some may even dismiss them as "normal" changes that come with aging or deconditioning. An interesting fact - one that is more than interesting in that it could potentially make a difference in saving lives - is that the symptoms of lung cancer are often different in women than they are in men, and the symptoms of lung cancer in non-smokers are often different from those people who smoke. Of note as well is the symptoms of lung cancer in non-smokers often differ from those in people who smoke as well. Traditionally, smoking was more likely to cause the types of lung cancer that grow near the large airways, and hence caused coughing and coughing up blood. The most common type of lung cancer in women and non-smokers - lung adenocarcinoma - tends to grow in the outer regions of the lungs. In this area, the first symptoms are often shortness of breath with exercise and general fatigue. The overall 5-year survival rate for lung cancer is only 16 to 18 percent but is improving even for people with advanced lung cancer. 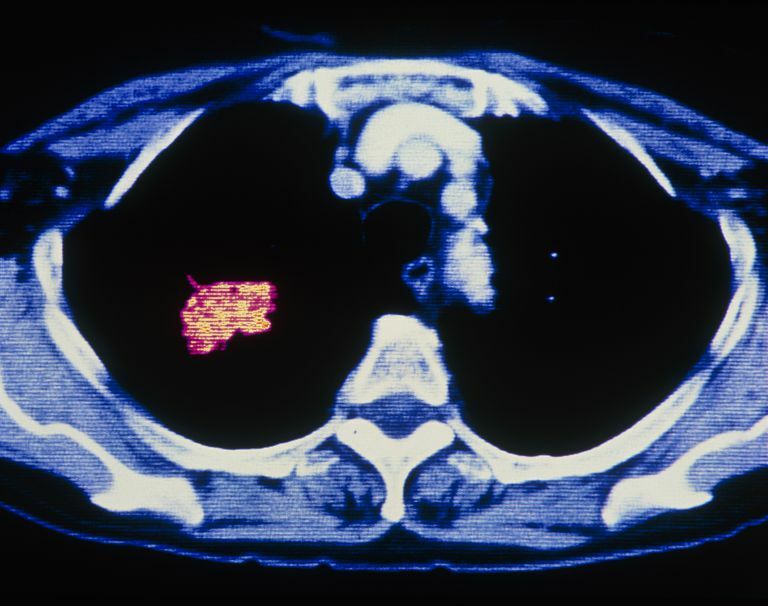 When lung cancer is caught in the early stages, survival rates are much higher. Lung cancer screening is now available for those who have smoked in the past, and anyone who has a history of smoking should talk to their doctor, even if they quit smoking a decade ago.